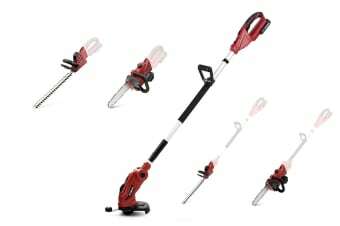 Say goodbye to overflowing sheds filled with expensive gardening tools with this all in one gardening tool, a must-have to help keep your garden in tip top shape. 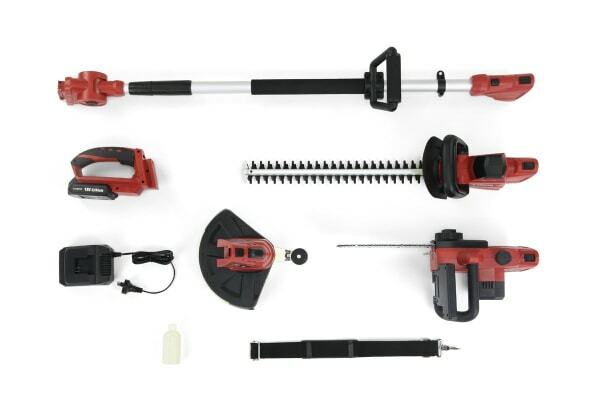 No need to lug multiple heavy tools around with the Certa 18V 5-in-1 Garden Kit, a convenient, cost-efficient gardening power tool that lets you add on attachments to suit your landscaping needs. 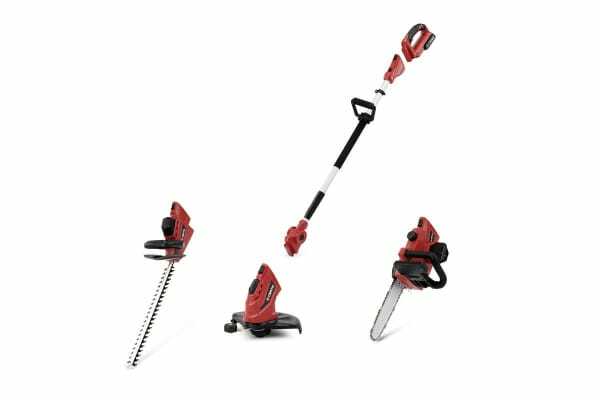 Featuring a lightweight two-sided 460mm blade and a fear-reaching telescopic pole that easily adjusts to eight different angles, tackle overgrown and hard to reach hedges and shrubs from every height and corner! 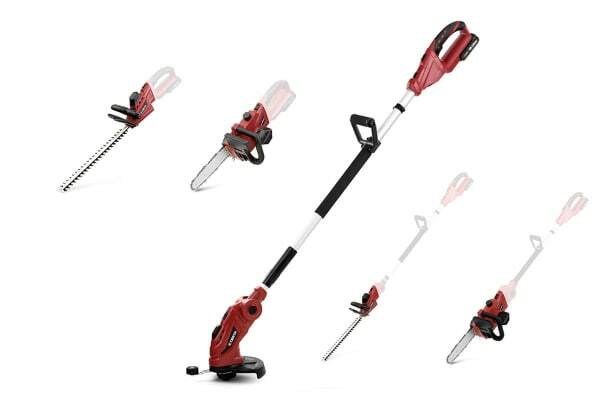 Make light work of lawn mowing with the grass trimmer, featuring a 250mm cutting width to help you manoeuvre around lawn edges, garden paths and grass. A great alternative to traditional petrol-driven chains, this electric chainsaw is extremely low maintenance, with no fumes or fuelling up leading to minimal mess! When you want to prune up high, simply attach it to the telescopic pole. The Certa PowerPlus 18V Lithium Battery and Certa PowerPlus 18V Rapid Charger are compatible with the entire Certa Power Tool range. With one battery able to power the whole collection, you can seamlessly switch your battery between tools for greater convenience and efficiency.